Thank again for a great evening. It was really well managed and professional. Our staff are still talking about the event. I am sure we will be contacting you for our Halloween party in October. Melissa and I just wanted to thank you again for such a professional service on Saturday night. The only word we can think of to describe it was, well, awesome. You turned up on time (early even! ), did your thing then packed up and left again, extremely smoothly. The equipment looked very clean and well maintained. You also went over your agreed timeslot for us and that was noted and appreciated very much. It is not often you find that kind of flexibility and professionalism these days and it seems all too common that people just do what they have to, take the money and run. Both Melissa and I, along with everyone in attendance thought you were fantastic – we have heard so many good comments. We would have no hesitation in recommended you to our friends, family and colleagues in the future. Who knows, we might even ask you back for the wedding! We wish you continued success in the future – don’t change the winning formula. What a great night! Everyone just had the best time ever. Your equipment was spotlessly clean, there were no hiccups and everyone was just perfect… Having “Big Chief Chuckemoff” there too just added to the fun… I just can’t thank you enough for making my 40th a memorable event. Just want to say a very big thanks for Saturday night. Everyone had a fab time and really enjoyed it. Wish I got a chance to ride it more than twice but never mind. I had fun! really looking forward to the pictures. A BIG THANK YOU for the fun we had on the Rodeo Bull on Saturday night at Easter Compton. Plently of people had a go and I look forward to seeing all the photos you took. I wil lsend “thank you” notes for my presents along with the corresponding picture… I think I need a bit more practice to be as good as the rest of the family! You constributed to making my 40th birthday FANTASTIC! Thank you so much, it was a fantastic night, everyone thoroughly enjoyed it, although most of us were aching like mad for the few days afterwards. Friday night was a huge success and ina large part to the Rodeo Reindeer and the staff who manned it. They were very friendly and able to get a lot of people (many of which are not generally all that enthusiastic) involved. Thank you so much for the pictures and we will look forward to hiring from you at our next event. There are only three words I ahve for you… brilliant, brilliant, brilliant, thank you Simon for all your hard work. Your involvement to make this night a great success did not go unnoticed, and we will definately be booking you again for any future fundraising events. We had a great afternoon of fun and frolics with “babe” the new pig. Together with Silver Surfer and Shaun the sheep. Marvellous! The afternoon went very quickly. Your equipment was clean, bright and most important for me SAFE. Enjoyment was not lost, even with the health and safety rules. Important things for youth leaders. Even following a long journey to Aldwark Scout Water Activity Centre, North Yorkshire, a pleasure, no hassle, you set up, engaged our group of young people(Explorer Scouts aged 14-18) , they all enjoyed it (Mostyl I think they enjoyed me making a fool of myself. ), then dismantled and left. Highly professional through and through, Would not hesitate to hire again. Just a quick message to say thank you so much for everything on Saturday. I know how much hassle it turned out to be with the other company and just want to say i really appreciate you stepping in at such late notice. It really made the night and everyone had a fantastic time. I can’t wait to see the pics! I am writing to thank you for your hard work and professionalism at our recent event, where you provided our party with your excellent “Rodeo Reindeer” I have since spoken to a wide cross section of “party goers” who attended the event and they have all said how brilliant they found your ride, being both different and original to anything they had seen before. I would not hesitate to recommend you to anyone else who needed a centre piece to their party and I hope to use your services again soon. 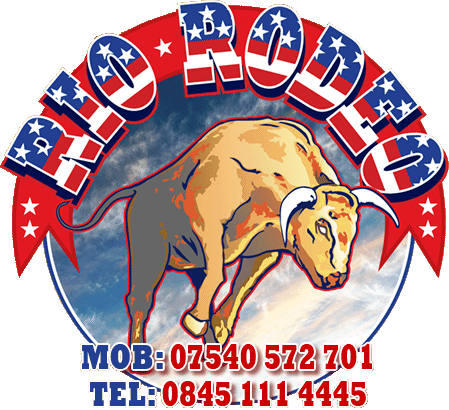 You stepped in at the last minute as we’ed been let down by our previously booked rodeo, and all I can say is, I’m glad the others let us down! You were brilliant. Sean the sheep is sooooo cute … can’t wait to see Rudolph at Christmas! Just wanted to say a HUGE THANK YOU for all your hard work on Sunday – It was just great and everyone really had a ball. Thanks as well for the CD which arrived this morning – Very funny and a great momento of the evening – Will definately let you know when we have our next party.